Join Rebekah for this introductory experience as you delve into the multi-faceted exploration of Yoga as a therapeutic tool to enhance your life and well being. Yoga therapy involves the application of yoga to enhance health and wellness on every level: physically, psychologically, and spiritually. The Yoga therapy journey brings balance back into the body and mind as the yoga therapist and the student(s) work as a co-creative team to develop personalized tools that can be taken off the mat and applied in their everyday lives. All levels are welcome! In this workshop you will be getting an overview of what yoga therapy is. We will introduce some tools used in a yoga therapy session including: body mapping, pranayama, guided meditation, and learning/applying the five koshas. Rebekah is working towards becoming an 800 hour yoga therapist through Kripalu School of Integrative Yoga Therapy. 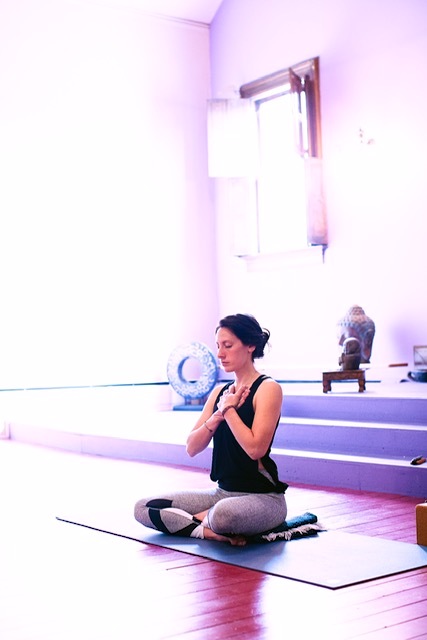 Through this training she is learning how to create classes that bring together asana, pranayama, mudra, yoga nidra, mantra, and meditation into a complete package that can then be applied through a therapeutic format geared to an individual’s or group’s needs.